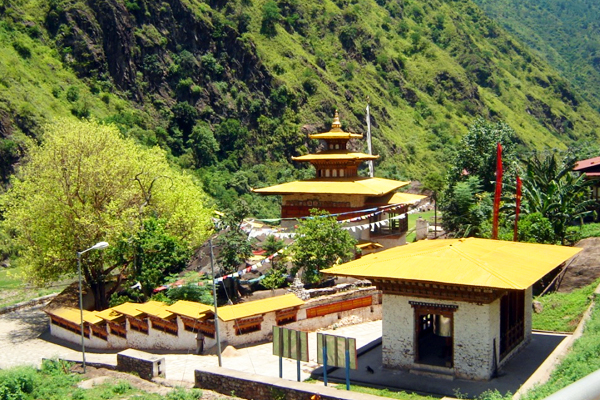 Trashiyangste is one of the 20 dzongkhag (districts) comprising Bhutan. Trashiyangtse is a rapidly growing town and the administrative center for this district. Situated in a small river valley, it is a lovely spot from which to take walks in the surrounding countryside. 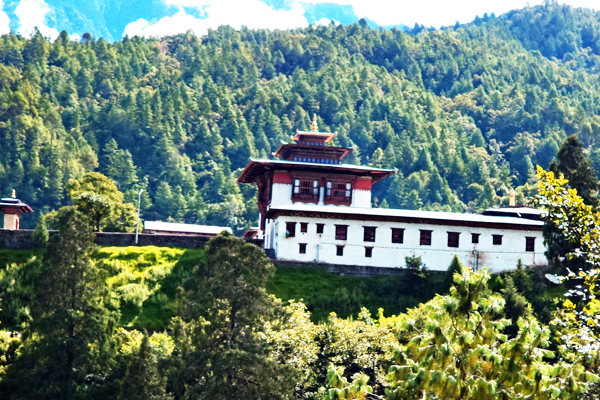 The Dzong overlooking the town was built in the late 1990s when the new district was created. Trashiyangtse is famous for its wooden containers and bowls, which make inexpensive, attractive and useful mementos of a visit to this remote region. The Institute for Zorig Chusum, where students study the 13 traditional arts and crafts of Bhutan, is also worth a visit. Trashiyangtse / Chorten Cora town has been coming up fast and perhaps is the only town in Bhutan that boast of looking uniquely Bhutanese with its buildings built in true tradition of Bhutan in design, materials and craftsmanship with the modern day comfort and styles within. Trashiyangtse or Tashi Yangtse is a small town in Yangtse Gewog, and the district headquarters of the Trashiyangtse District in eastern Bhutan.Its population in 2005 was 2735. 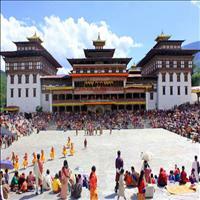 Located in close proximity to Chorten Kora which lies to the west. 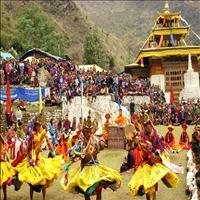 Spring is the time when Bhutans rich flora is at its best as hundreds of varieties of flowers bloom. And during this time around, the skies are clear and you can see towering snow-covered mountains of the Himalayas. Even in spring Bhutan&apos;s fierce winter, especially in high altitudes, isn&apos;t over. Tourists who intend to visit during this time are advised to bring along some winter clothes. Spring season starts from March and ends roughly in June. Another good time of the year ­ autumn ­ begins from September and lasts till the end of November. Monsoon brings heavy downpours and occurs between June and August when the temperature is normally between 8° and 21°C (46°-70°F). Winters in Bhutan are cold and dry with most high lying places snow-covered. Winter lasts here from December to February. Summers are humid and the country experiences heavy rains and frequent road blocks. Situated in the north of Trashiyantse, it is the home of a flock of Black-necked Cranes that migrate from Tibet in winter. This place is also known for its exceptional woodcraft. Built in Nepalese style based on the copy of Boudhanath stupa in Nepal by Lama Ngawang Loday in 1740. The main statue in the temple is of Guru Rinpoche. It is said that one eight year old girl from Arunachal Pradesh sacrificed her life by entering the stupa during its construction. In her memory, the people of Arunachal Pradesh still visit every year for kora (circumambulation) during the great religious festivals that are held in mid-March. Also masses of people from all parts of the eastern region come to mark these celebrations, particularly from Merak and Sakten valleys. 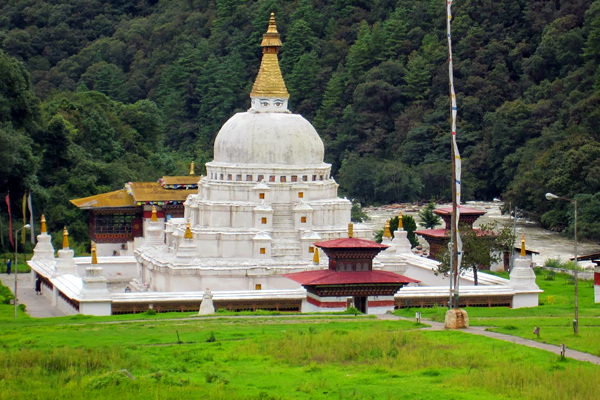 It is about a 24 km drive from Trashigang, on the road towards Trashiyangtse. Situated on a small alluvial plateau overlooking the river, it is one of the sacred places where Guru Rinpoche meditated in order to subdue a demon that dwelt in the big rock. 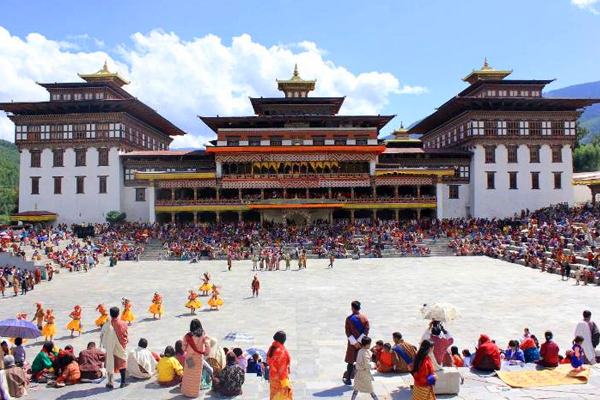 The temple is renowned for its festival held in the 2nd lunar month. 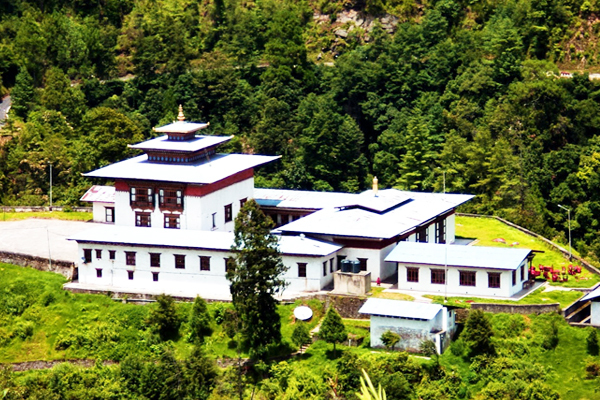 The old Dzong was established in 1656 and was fully renovated in 1976. Since the old Dzong was small and difficult to get to, a new Dzong was built on the side of a ridge overlooking the valley and was inaugurated in 1997. Now, it is the administrative centre of the district.